Into the Storm (the 2014 release I'm about to review) is about tornadoes and there are lots of them. Compared with the ones featured in 1996's Twister, they are far more terrifying putting you the viewer, in a much more heighten state of fear. 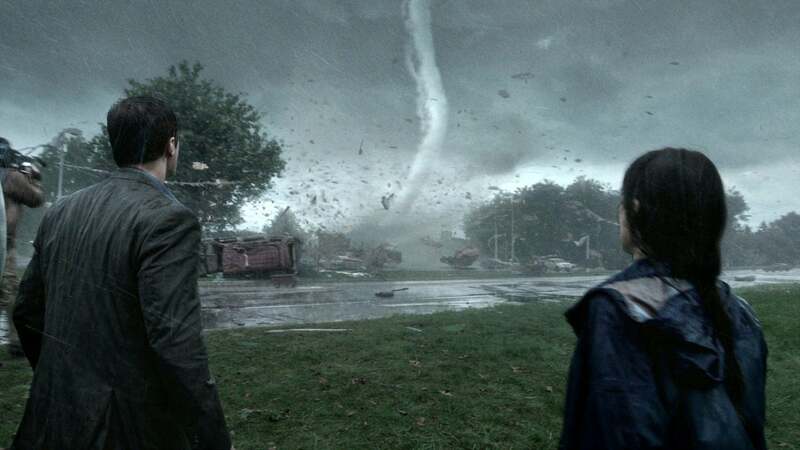 The special effects used to project "Storm's" assortment of horrific natural disasters are realistic, standardized, yet somewhat over exaggerated (it's just not fathomable that there would be 5-6 normal sized funnel clouds followed by one ginormous F5er all in one town location). Unfortunately, if you take the eye-popping gimmicky away from Into the Storm's shockingly brief makeup (its running time tops out at a cookie cutter themed 89 minutes) the film as a whole, is virtually unwatchable. I almost walked out of "Storm's" first act in which almost nothing happens. And to be honest, I decided to stay in the theater only to harbor feelings of wanting to throw popcorn at the screen, a screen that seemed to be littered with silly, all too familiar, cloned up characters (or as I like to call them, caricatures). Copying 1999's The Blair Witch Project by having the main protagonists do a video confessional right before they die (or almost die), containing an uneven mix of humor and heavy action/drama (believe me, it wasn't needed) and relaying a tired, annoying adage in which most of the cast has to film everything (and everyone) regardless of the horrific peril or danger they are in, Into The Storm begins with two intertwining stories. One involves a group of storm chasers led by Pete (an extremely unlikable lad played by Matt Walsh). They've been unable to locate any type of tornado activity and because of their limited budget, their time in terms of funding, has virtually run out. The other story involves a graduation of high school students in the small town of Silverton which I guess is in Oklahoma (naturally). Even though this high school has a principal, the vice principal seems to be the more vocal role (the vice principal's name is Gary Morris and he is played by Richard Armitage. His character is sort of a poor man's version of Dennis Quaid's Jack Hall from The Day After Tomorrow). The two stories come together via the second act when both groups of people somehow meet in Silverton. The high school students (and their parents) just wanna seek shelter while the storm chasers wanna capture footage of funnel clouds that would make Antie Em herself jealous ("it's a twister! it's a twister!"). Eventually, everyone involved becomes trapped and seized by a host of tornado barrages designed to get nastier and nastier each time (look for a scene where a twister picks up a host of 747's weighing thousands of tons and hurls them all over the place. It's pretty freaky). As mentioned earlier, Into the Storm is about twenty minutes shorter than your average disaster movie. Therefore, character's personas aren't developed or fleshed out. The result: You don't know enough about these terrified victims to care about their well being or invest in what happens to them. You do however, want to yell through the screen and say to them, "find a basement for gosh sakes! You guys have heard of basements right!?" Along with poor character development comes Into the Storm's biggest misstep which stems from the fact that it is poorly acted by novices (almost everyone was cast through an open audition, huh? For a big summer blockbuster of a movie like this?). These unknown actors or actresses have a main job and that is to basically bring their characters to life. That unfortunately doesn't quite occur here. And it doesn't help that the script these people are saddled with, contains dialogue suited more for a sitcom (without a laugh track no less) as opposed to an actual movie. Then, we have "Storm's" openness of being virtually originality free. It rips off everything from 1974's Earthquake to the previously mentioned Twister (1996) to 2004's The Day After Tomorrow to 1978's Avalanche. Oh and don't get my started on the fact that what we have here is yet again, a freaking found footage/documentary type flick. If you've witnessed the look and feel of The Blair Witch Project, Cloverfield, Project X, Quarantine and those goofy Paranormal Activity exercises, well get ready for more of the same with Into The Storm. What's worse is that its found footage contained doesn't really look like found footage. Therefore, we as an audience can't tell whether we are watching what one of the characters shot or I guess, the actual cameraman behind the scenes. Truthfully, if this whole film was deemed completely hand-held camera schlock, well it comes off about as inconsistent as you could ever imagine. All in all, this vehicle's amazing visual wonderment can't hide the fact that it contains cliched characters (the dad who lost his wife and has to take care of his sons who he has no connection with, blah blah blah) in cliched situations (the shy, nice guy tries to win the heart of the hot girl who never talks to him. Oh and they get trapped in a bad place while waiting for someone to save them) saying cliched dialogue (see the "of note" section of my review). I'm a disaster flick junkie so I decided to (gulp) go anyway despite the 20% notation on good old Rotten Tomatoes. Bad move. 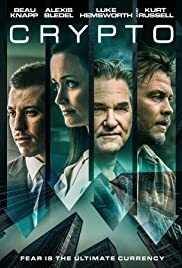 During the second half of Into the Storm, an unemployed, drunk townie jokingly says, "I was in the tornado man and it really sucked!" Same goes for the movie if you completely take away its special effects. These special effect shots, which are the only thing "Storm" really has going for it, are its equivalency of a nutrition free, fattening meal ticket. So in conclusion, skip the opening thirty minutes, turn your brain off when the actors attempt to speak, or just avoid taking in a viewing all together. Because this is justifiably an early August dud. Just call it "Vista Twista." Of note: (spoiler alerts) You know the clip in "Storm's" trailer where a helicopter gets sucked up by a tornado thereby throwing itself at defenseless, toothpick constructed buildings. Well that carnage is never shown in the actual movie. Oh and look for the ending where Into the Storm tries to inject some comic relief through the interpretation of two nimrod, adrenaline junkies. After families are ruined, homes are destroyed, and certain people lie dead, it comes off as totally inappropriate. Finally, I pronounce that Into the Storm becomes the movie equivalent of a drinking game via college students and other assorted party animals. Every time a character says, "you gotta take a look at this" or "let's get out of here," you have to take a sip of beer. Classic!